The Expo Case is an affordable counter display that doubles as a shipping case for transporting a pop up display, banner stands or other presentation materials. Re: Expo Case graphics. I have downloaded the template, thank you. Does the artwork require bleed to be added? No, bleed isn't necessary for this display. 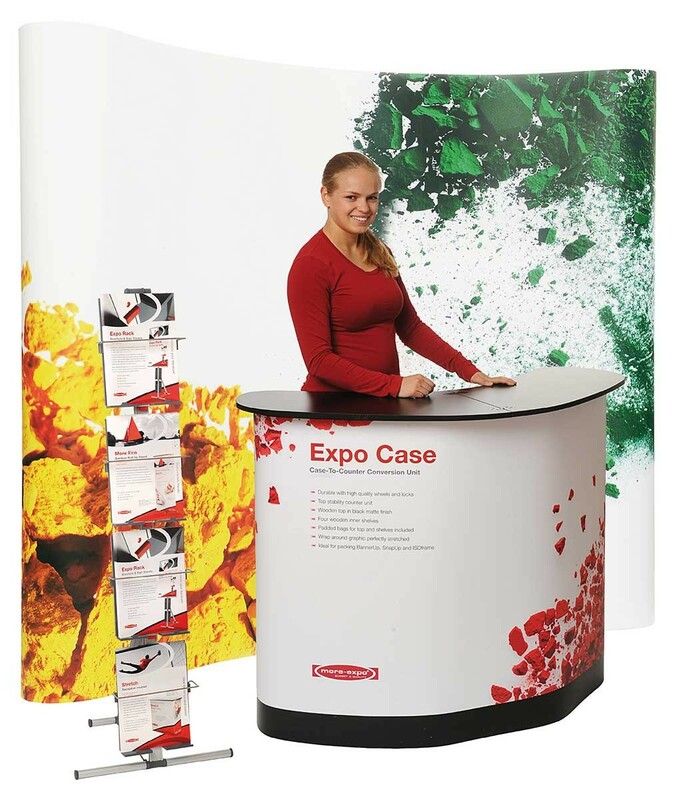 The Expo Case is an affordable counter display that doubles as a shipping case for transporting a pop up display, banner stands or other presentation materials. 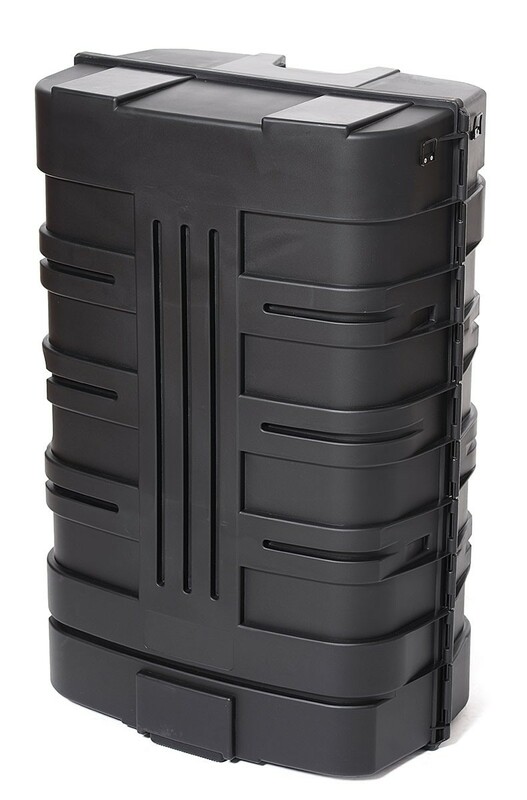 As a shipping case, the Expo Case is designed to open lengthwise on the ground to make loading and unloading easier. 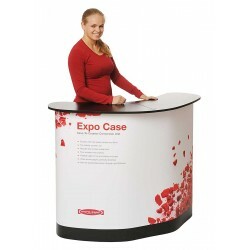 The Expo Case has enough space to hold a standard pop up display or multiple banner stands with a width of 35" or less. 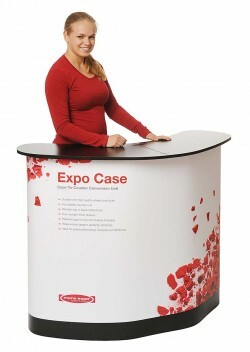 The Expo Case converts quickly into a large presentation counter by opening the case and attaching the wooden top and graphic. 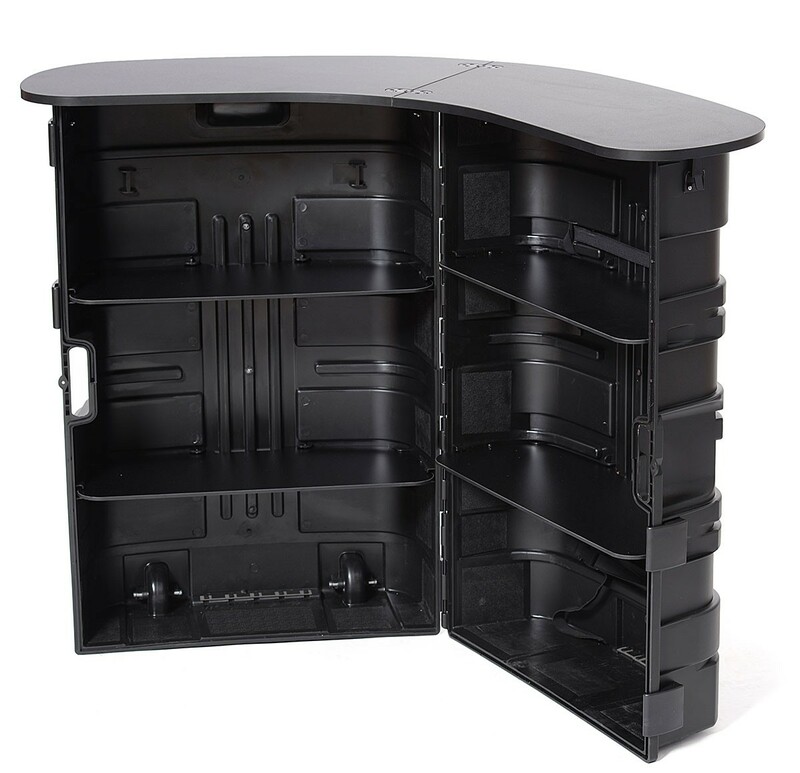 The counter provides a large space and wooden shelves are included that fit inside the case to hold literature, products or other items that need to be stored out of view but still be easily accessed. The graphic wrap conceals the case and provides a large surface for displaying a logo, marketing message, or decorative design. 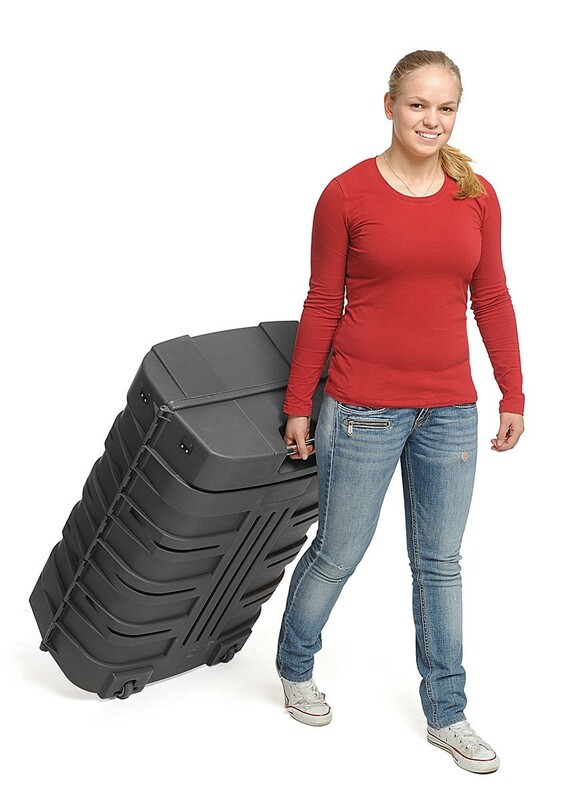 The Expo Case features built in wheels for easy transport with an integrated pull handle and heavy duty latches. 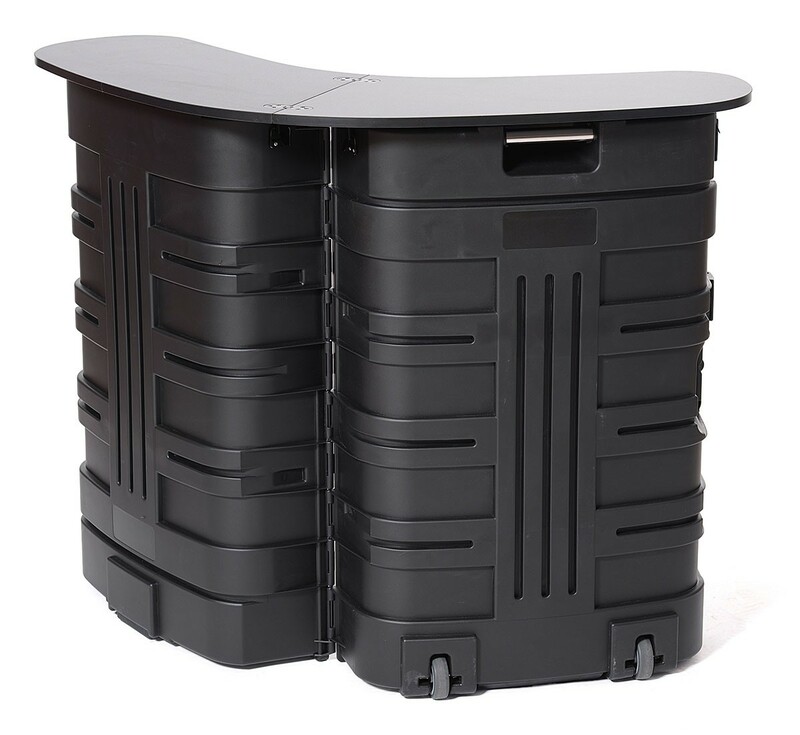 It includes a folding black wooden counter top with soft case, 4 wooden shelves with soft case, velcro fasteners for the graphic wrap, black kick plate to conceal the bottom of the case when set up as a counter, and a graphic tube to store the case wrap graphic while in transit. Interior Dimensions: 36" x 18" x 12.5"
Note that this is the minimum interior size. There is as much as 15.5" of interior depth and 23.5" of width in areas that are not affected by indentations from the wheels, handles, etc. Exterior Dimensions: 37.5" x 25.2" x 15.7"
Graphic Dimensions: 67.9" x 33"